One of the most prolific and influential film composers of the late 20th and early 21st centuries, Germany's Hans Zimmer began his music career in London, England, producing and playing synths for a variety of new wave and punk bands in the early '80s. After founding a recording studio with film scorer Stanley Myers, their work on films such as 1985's My Beautiful Laundrette fused the traditional orchestral aesthetic of film composition with state-of-the-art electronics and proved influential on countless soundtracks to follow. Founded in Santa Monica, California in 1989, his film, TV, and game scoring company Media Ventures Entertainment Group -- later rebranded Remote Control Productions -- launched the careers of dozens of specialists in the field, among them Harry and Rupert Gregson-Williams, Klaus Badelt, Henry Jackman, and John Powell. 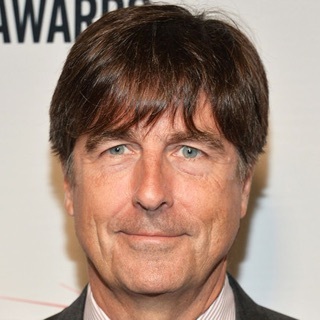 With instrumentation that combined symphonic, electronic, folk, and choral elements, Zimmer won the Academy Award in 1995 for his score to Disney's The Lion King. The demand for his artful blend of electronic and orchestral textures only increased in the decades to come. 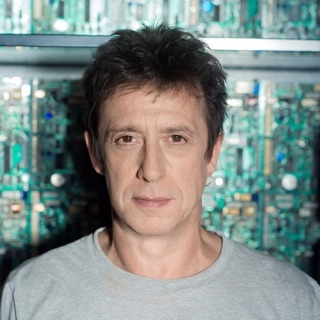 His many collaborations have included his Golden Globe-winning score for 2001's Gladiator with Lisa Gerrard, his Grammy-winning soundtrack to 2009's The Dark Knight with James Newton Howard, and 2017's Blade Runner 2049 with Benjamin Wallfisch (featuring themes by Vangelis). Hans Florian Zimmer was born in Frankfurt on September 12, 1957. Largely self-taught, he played piano as a child. 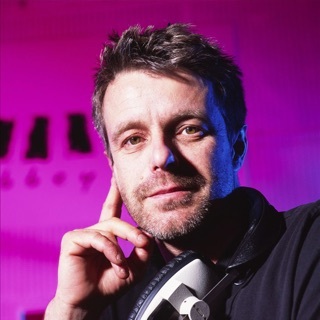 After relocating to London as a teen, he wrote advertising jingles for music production company Air-Edel Associates. In 1980, he collaborated with the Buggles on their LP The Age of Plastic and its accompanying hit "Video Killed the Radio Star," and co-produced The Black Album for the Damned. The early '80s also included stints with synth pop band Heldon (with Ultravox drummer Warren Cann) and the Italian avant-garde group Krisma as well as further production work. He then formed a partnership with composer Stanley Myers, and together they founded the London-based Lillie Yard recording studio. Zimmer and Myers' work during this period included material for pictures including Moonlighting, Insignificance, and the acclaimed My Beautiful Laundrette, which saw them credited as Ludus Tonalis in honor of the Paul Hindemith piece. In 1986, Zimmer joined David Byrne and Ryuichi Sakamoto on their Oscar-winning score to The Last Emperor. His work on the apartheid drama A World Apart was his first major solo credit and led to his Academy Award-nominated score for 1988's Best Picture winner Rain Man. The following year, Zimmer again composed the soundtrack for a Best Picture winner, this time Bruce Beresford's Driving Miss Daisy. A remarkably prolific writer, by the time the '90s dawned, his music was a Hollywood staple, with a list of hits including Black Rain, Backdraft, Thelma & Louise, A League of Their Own, and Days of Thunder. Zimmer scored his biggest commercial success to that point in 1994 with his work on Disney's The Lion King. The film's soundtrack garnered numerous awards, including an Oscar, a Golden Globe, and two Grammys. Later adapted for the Broadway stage, The Lion King took home the 1998 Tony for Best Musical as well. In 1995, Zimmer earned another Grammy when Crimson Tide was selected as Best Original Score Written for a Motion Picture. Another Academy Award nomination followed for 1996's The Preacher's Wife; that same year, he earned BMI's prestigious Richard Kirk Award for lifetime achievement. Zimmer earned his fourth Oscar nomination for his work on the James L. Brooks comedy As Good as It Gets in 1997, repeating the feat for the third consecutive year in 1998 with his score for Terrence Malick's The Thin Red Line. His contributions to The Prince of Egypt earned a Golden Globe bid that same year. The 2000s marked an auspicious time in the composer's career, as he continued scoring some of the biggest A-list films of the era, averaging two or three blockbusters a year, including Hannibal, Gladiator, The Last Samurai, and The Da Vinci Code. In 2007, Silva Screen Records released Film Music of Hans Zimmer, a double-disc set highlighting his achievements. 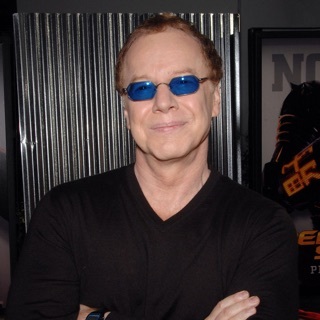 Later in 2007, he reworked Danny Elfman's zany Simpsons theme into a traditional symphonic film score on The Simpsons Movie. As the 2000s came to a close and the 2010s began, Zimmer's name remained synonymous with blockbusters as he scored later installments in the Sherlock Holmes, Pirates of the Caribbean, and Batman franchises, including 2012's The Dark Knight Rises. 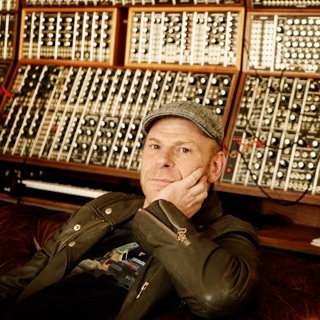 His score to Christopher Nolan's 2010 film Inception was nominated for an Academy Award for Best Music and Original Score, and also earned a Saturn from the Academy of Science Fiction, Fantasy & Horror Films for Best Music. Devastated by the Aurora, Colorado shootings in 2012, Zimmer composed a choral arrangement of the Dark Knight Rises theme, simply entitled "Aurora," to help raise money for the victims of the tragedy.